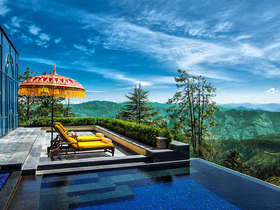 Compiled by Corinthian’s travel experts, North India Top Ten has been designed as a reliable reference point to enable you to identify the absolutely unmissable Top Ten Sights in North India, as well as the most exciting South India Travel Experiences, and South India’s most notable and luxurious hotels. 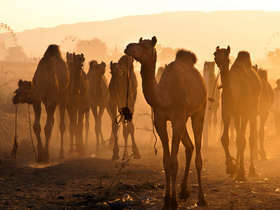 There are of course besides a myriad of other marvels and wonders to been seen and experienced. Every list is by its very nature highly subjective and restricting ourselves to naming just ten has been no easy editorial task! We hope that our North India Top Ten suggestions will provide a flavour of the country’s magic and will inspire you to explore further. 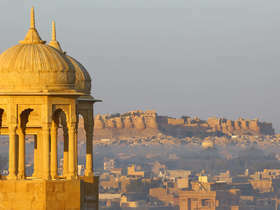 On the North India destination page you will find more detail; including an extensive list of private tour suggestions, a guide on where to travel, and our preferred hotels. Alternatively, call us! We would lo to hear from you. 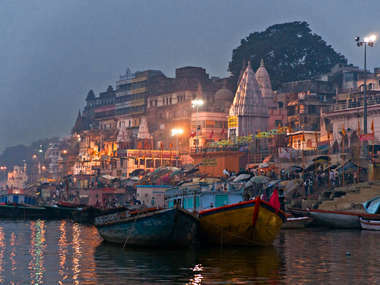 Steeped in antiquity, Varanasi meaning ‘City of Light’ is the holiest of all Hindu pilgrimage sites and is one of the oldest continuously inhabited cities in the world. 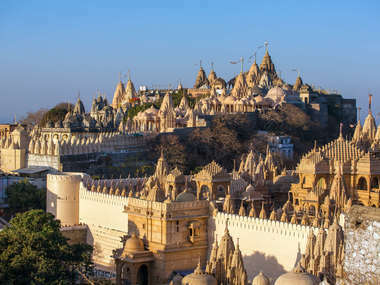 Lying on the western banks of the sacred river Ganges, this city is an ancient centre of learning and has been a magnet for seers and sages for well over 5000 years. 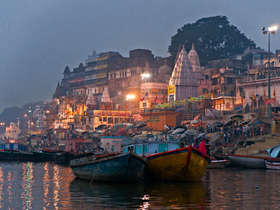 Varanasi is also a major centre of pilgrimage for Hindus who believe that a dip in the holy waters will wash away their sins. For an almost unrivalled Indian cultural immersion combine an early morning boat ride on the Ganges with a walk through the chaotic streets filled with pilgrims, chillum-smoking sadhus, sacred cows and market stalls that sell nearly everything from sacred beads to silk shawls, before proceeding to the Ghats to witness the spectacular evening ‘Aarti’ ceremony. 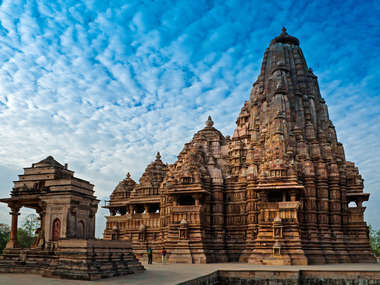 The celebrated Khajuraho temples in central India are architectural masterpieces that mark the culmination of the North Indian or Nagara style of architecture and were built by the Chandela rulers between 950 AD and 1050 AD. 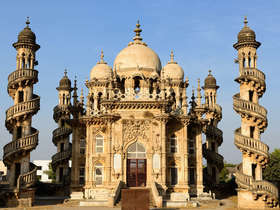 It is believed that the Chandela rulers built nearly 85 temples and decorated them with exquisite stone carvings, before they were abandoned and lost to history. Today, the 25 surviving temples that were re-discovered by British Army Capt T S Burt in the 1830s - showcase scenes from everyday life of farmers, craftsmen and musicians as well as sculptures depicting explicit, intimate scenes from Kama Sutra. 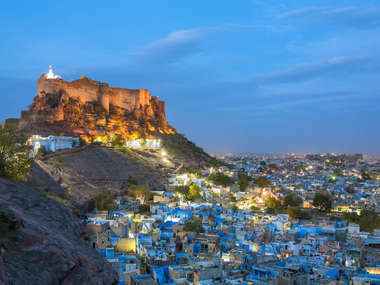 The majestic Mehrangarh Fort, which dominates Jodhpur’s landscape is one of India’s best-preserved castles and is perched on a rocky hill overlooking the blue-washed Brahmin houses below and the vast open stretches of desert beyond. 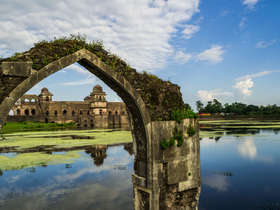 A spellbound Kipling described this fort as ‘one of the grandest sights in India, the work of angels, fairies and giants’, while legend has it that a man was buried alive while laying the foundation of this fort to ensure that the site remained propitious. A walk through the fort complex reveals opulent gilded audience halls, ornate royal apartments decorated with exquisite mirror-work as well as a treasure trove of collections from palanquins to priceless miniature paintings. 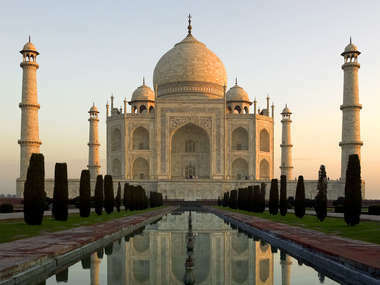 One of the world’s most iconic monuments, the sublime Taj Mahal was built as a monument to eternal love and was famously described by poet Rabindranath Tagore as "a teardrop on the cheek of time". This magnificent 17th century mausoleum made of wonderful milk-white marble was created by Mughal Emperor Shah Jahan as a tribute to the memory of his beloved wife Mumtaz and is set amidst beautiful Mughal gardens on the banks of the river Yamuna. Designed to reflect the ever-changing hues and moods of the sky, the Taj Mahal is best visited either at break of dawn or as the setting sun wraps this magnificent monument in orange, pink and yellow hues. 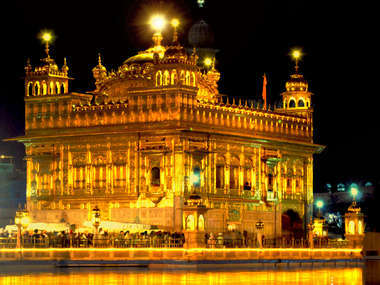 The serene Golden Temple also known as Harmandir Sahib is the spiritual home of the Sikhs and was built in the late 16th century by Sikh Guru Arjan Singh. This resplendent temple stands supremely in the middle of an artificial lake and is crowned by a dome gilded with 750 kgs of gold. Inside the temple, a mystical atmosphere pervades as priests and devotees chant from the Sikh Holy Book. The best time to visit the Golden Temple is early morning when the first rays of the rising sun light up the gleaming onion-shaped golden domes and create stunning reflections in the waters of the Amrit Sarovar. Alternatively, a late evening visit offers the chance to witness the atmospheric ‘Palkhi Sahib’ ceremony. 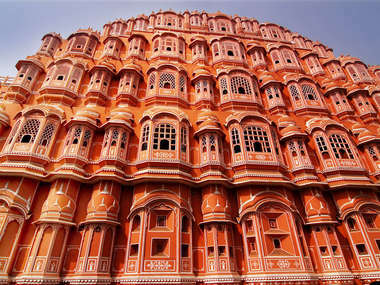 Popularly known as India’s Pink City, Jaipur is Rajasthan’s vibrant capital and is renowned for its spectacular forts, beautiful palaces, fine havelis (mansions) and colourful bazaars. 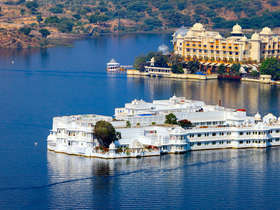 Planned by Maharaja Jai Singh II in 1727, this is one of India’s earliest planned settlements and a ‘must-visit’ destination for first-time travellers to northern India. 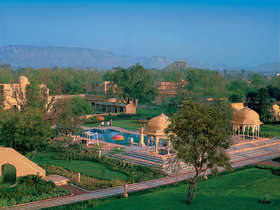 A visit to Jaipur offers the enticing prospect of staying in a fairy-tale converted royal residence; taking the Maharaja’s vintage car to the spectacular hill-top Amer Fort - a magnificent complex of palaces, pavilions and courtyards; discovering the private apartments of the royal family; enjoying an elephant-back ride through the Meena tribal villages, and browsing through the bustling markets for hand-made jewellery and fine embroidered fabrics. 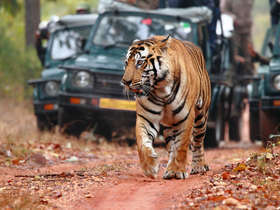 The picturesque sal and bamboo forests of Bandhavgarh National Park is reputed to have the highest density of tiger anywhere in the world and is one of the best places to observe the elusive Bengal Tiger in its natural habitat. 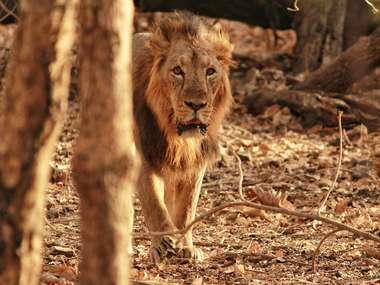 The park’s open terrain with grassy meadows, rocky outcrops and mixed vegetation provide shelter to an impressive variety of mammals including jackal, fox, spotted deer, sambar, gaur (Indian bison), hyena, wild dog, leopard as well as over 200 species of birds. Combine your wildlife safaris with a trek up to the ruins of the ancient Bandhavgarh Fort for a picnic lunch and take in the panoramic views of the surrounding wilderness. 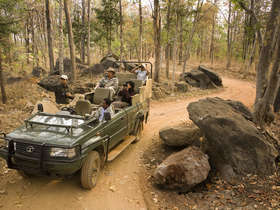 Bandhavgarh National Park is open between October and June.